I promise a full party prep post soon BUT I keep getting so excited about all of my projects for Addie’s first birthday party that I want to share details right away. So here’s the latest… Our t-shirts for Addie’s birthday party. 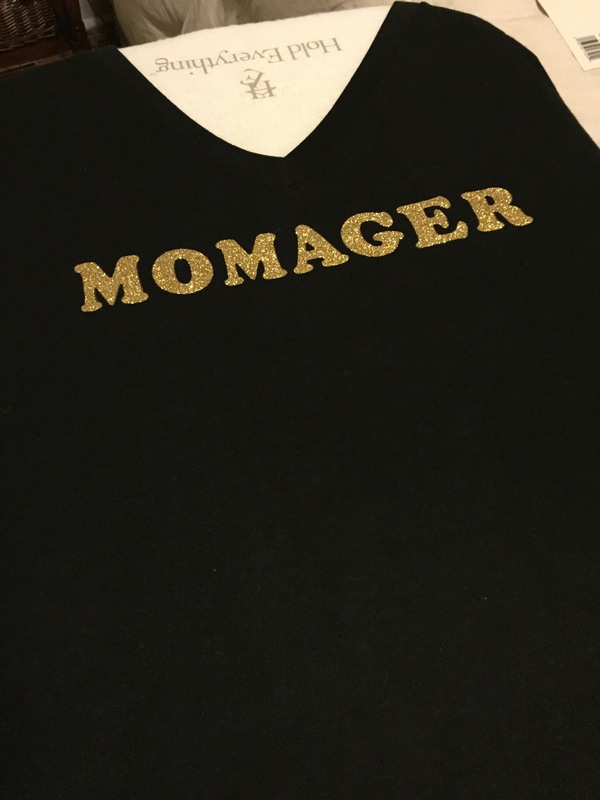 I asked people to RSVP to Addie’s Momager so I immediately knew that I wanted a shirt to say that. We weren’t sure what to put for Mike’s shirt- Security? Tour manger? A&R? … (Yes, I’m that Mom who loves a good theme party and 100% embraces coordinating family ensembles). But then Mike had the perfect idea. 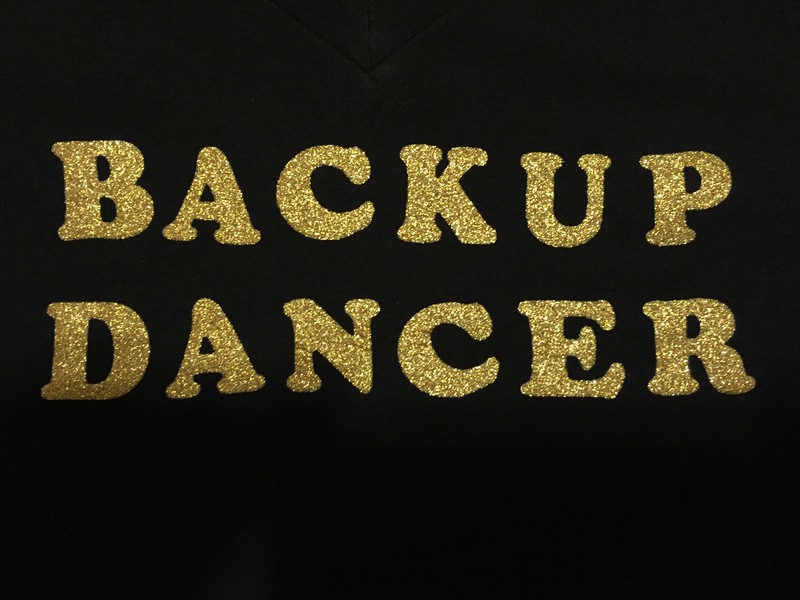 He was dancing to make Addie laugh when it came to him– Backup Dancer!! I initially bough iron-on letters + cheap t-shirts at Michaels. I even brined (yes, like brining a turkey) the tees for 3 days after reading on Pinterest it would make them vintage soft… The brining did make them a little softer– but we splurged and ending up buying super soft black tees from Urban Outfitters instead. So soooft and comfy, and I think, much more flattering. The shirts were actually really easy to make– we just followed the instructions that came with the letters. So happy with how they turned out! Standby for full party prep post. And happy Sunday! !